The FTC v. Qualcomm non-jury trial continued yesterday with Qualcomm still at the plate, defending charges levied against it by the FTC. On Tuesday, Qualcomm called one of its expert witnesses to the stand, according to a report from CNET. The aptly named Tasneem Chipty, an expert in competition policy and antitrust economics, said under oath that "Qualcomm felt competitive pressure from Intel" over Apple's business. She added that the chip maker responded by stepping up its innovation, and by cutting prices. Those actions don't make Qualcomm anticompetitive, she said. Chipty pointed out from the witness stand that Qualcomm did not have the "market power" to force phone manufacturers into poor business deals that would cost these companies billions of dollars. She also pointed out that Qualcomm lost 50 basis points of market share in the premium handset market from 2014 to 2017 as competitors like Intel, Samsung, MediaTek and Huawei were picking up business. Last week, an Apple executive named Matthias Sauer took the stand after being called by Qualcomm. He testified that Apple was about to use Intel's chips for the iPad in 2014 even though they failed to meet Apple's requirements. Qualcomm was about to lose the business until it gave Apple price incentives to stick with Qualcomm's components. The FTC says that Qualcomm acted like a monopoly by giving Apple incentives to use its modem chips on an exclusive basis, and by sticking to its "no license, no chips" policy. Qualcomm calls this "flawed legal theory," and says that customers stick to its chips because they are the best in the market. Presiding over the trial is Judge Lucy Koh of Samsung v. Apple fame. If she rules in favor of the FTC,Qualcomm could be forced to change some of its business practices related to how it sells chips to phone manufacturers. Let me get this straight, Qualcomm said you can’t make a phone without their tech and patents and yet this person wants us to believe they don’t have leverage over Apple. You can’t have it both ways Qualcomm. If an oem can’t make their product without your tech, you effectively have leverage over them. Doesn't Microsoft make more from Android than it did with Windows mobile? Doesn't mean they had leverage/complete control over it. Phones are VERY complex, heck even Apple pays fees to Nokia. This doesn't mean Nokia calls the shots at Apple. You are aware that the main reason why we don’t have Exynos chipsets in the US is due to Qualcomm right? In fact, Samsung isn’t even allowed to sell its Exynos chipsets to anyone because of a deal they signed with Qualcomm in 1993 in exchange for its wireless patents. It wasn’t until 2016 that the FTC in Japan finally took action against Qualcomm for that anticompetitive deal which is still being appealed. In other words: Qualcomm has a long history of being the big patent bully on the block. At least Microsoft just simply lets people pay to use its patents without making stupid regulations on how you use it. There are two Samsung handsets for sale at Cricket right now that have Exynos chipsets in them: The Galaxy Amp Prime 3 with an Exynos 7570 chipset in it, and the Galaxy Halo with an Exynos 7870 chipset in it - both for sale in the US. 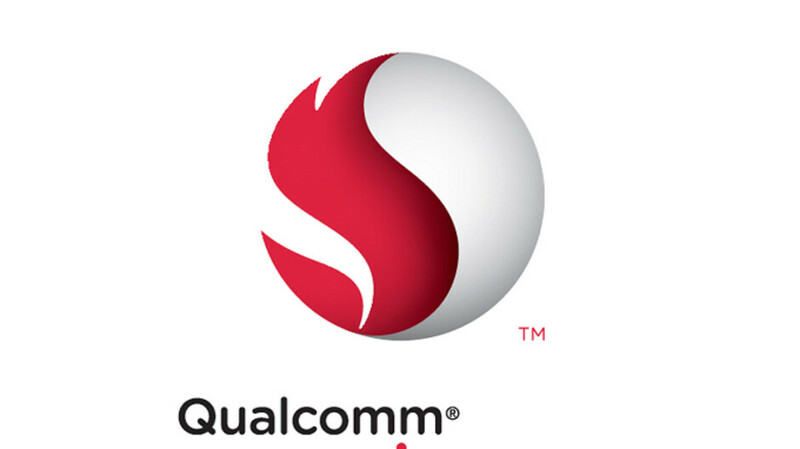 I'm sure those aren't the only two... is that illegal, or did Qualcomm's grip slip just a little bit? Samsung was never restricted to use Exynos is the US. Their devices work amazing on GSM carriers. Now, Samsung just like Apple needs/needed CDMA tech from QC. Without this tech they would not have been able to cater to Sprint and Verizon customers. So rather than confusing people with 2 different models in the US. They decided to sell only QC chipset phones for their flagships. What goes beyond this is that, Samsung made an agreement with QC way back in the 90’s due to which it cannot sell Exynos to anyone else. This issue is also currently in court “I guess”. Now are these agreements correct or wrong, I do not know. But it would be cool for everyone to use Exynos chips moving forward. I would also like to add to this. During the SD810 fiasco, Samsung released S6 , S6 Edge and Note 5 with Exynos chips only (Exynos 7420). “Doesn't Microsoft make more from Android than it did with Windows mobile?” Most confusing comment ever. QC can have leverage when they say iPhone is not possible without them. Microsoft is using an open source software. How the heck can they leverage anything or be leveraged lol. Microsoft was reportedly making $10 for all Android phones being sold. At the time when Windows mobile was still sold, Microsoft was supposedly making more from Android sales than from it's own OS. Does that mean Microsoft has leverage over Android?www.zdnet.com/google-amp/article/microsoft-is-making-2bn-a-year-on-android-licensing-five-times-more-than-windows-phone/&ved=2ahUKEwi1wsvb3YXgAhUrvFkKHcegATgQFjADegQIAhAB&usg=AOvVaw11Y8g9bEU3wAM-AuB6TOq-&cf=1 I'm not sure what open-source software Microsoft is using that you're referring to. I'm just letting you know that when standard essential patents exist, you aren't able to license them at exorbitant rates, hence, it's not leverage. "Microsoft is using an open source software." Nope! The money they earn is from microsoft hardware and software patents that phones need to operate, nothing to do with Android code. I was wondering what monkeyb was referring to. I meant to say Android is open source. I misunderstood your original comment and I guess I added an even more confusing comment. Sorry about that. They definitely have so much leverage, at least they used to have in 2015 as they were the first to come up with 4G modems for mobile phones. They are the leading mobile chip manufacturer in the entire world and they even surpassed Intel in terms of overall CPU manufacturing. Their chips and modems are better than others (Apple's own A series is better than them though) BUT that doesn't give them the right to force OEMs like Apple to give them more money whenever they want. Of course any company can have its fee recalculated retroactively, if the court is going to say that QC abused its power when it set the prices. I thought the point was that "Apple shouldn't have to pay Qualcomm anything?" If Apple agreed to it, regardless of how bad a deal it might have been for them (and it is pretty obvious that it wasn't a 'terrible deal' for Apple, or else they wouldn't have been able to make such profits on iPhones, and would never have signed the deal in the first place... plus, it increased their market share in the states by allowing them to sell their wares through Sprint and Verizon and US Cellular, in addition to existing 3GPP channels like AT&T and T-Mobile), they should pay for the part of it that they exercised. I don't think they should have to stay in that contract, and certainly this should never happen again under the same circumstances, if it indeed can be proven in court, but in any case, I doubt it will hurt Apple to pay a couple billion dollars to Qualcomm when Apple makes between $89 billion and $93 billion a quarter in revenue, with a gross margin between 38% and 38.5%, and operating expenses between $8.7 billion and $8.8 billion a quarter... and all that in a low quarter, while, according to others on this site, they are sitting on $128 billion in cash in various places, after debts (large debts help them pay less taxes...) are subtracted from actual balance sheets. Apple is laughing all the way to the bank either way. It's pretty clear that they just don't like to share their revenues with their contractors. Oh yeah, and in case anybody demands to know where I got the guidance numbers for the quarter in question, they are posted by Apple themselves, here: https://www.apple.com/newsroom/2018/11/apple-reports-fourth-quarter-results/ Not only do they list 2018 Q4 results, but they also list 2019 Q1 guidance numbers. Bottom line is Apple is doing awesome with or without their problems. Apple only withhold the sums that are considered abusive; they paid and should pay every penny QC is ENTITLED (but not through an abusive contract - that is voided of power). Siren, Gates could pay 100$ for a loaf of bread - no problem - but why should he, when everyone else pays a few cents? Nobody likes to share their hard earned revenue with a deceitful person. Besides, if there are two bread makers, and one of them sells a loaf for $1.49 and the other for $3.99, and people buy the $3.99 loaf because it is a lot better, but complain that they would rather spend $1.49, and then try to get the government to "force" the maker of the better loaf to charge only $1.49 for their product in the name of "fairness"... well, what happens is that they just look at you funny, and say, "make your own bread!" What most people don't seem to realize is that we cannot force Qualcomm to make the best chips at a price that is competitive with the lesser chips... it cannot be "forced." If the government goes to Qualcomm, and says, "in the name of fairness, you will make the best chips and sell them for the same price as competing chip manufacturers' chips", they may just look you in the eye, and say "make your own chips!" It’s about standards: you can’t have your tech be a mandatory standard and at the same time charge whatever price you want. It’s like making hdr mandatory by law and charging $1k+5% of the price of each phone. Qualcomm charged Apple 3.99 for the loaf of bread, because Apple has money to pay; to everyone else they charged 1.49 for the exact same loaf of bread; that is not capitalism, that is deceitful. Is there evidence that they did exactly that, or is that merely an allegation that is yet to be tested in court? Sure there is; even QC admitted it charged Apple more. I mean, to me, the media is so far awash with so many allegations that each side then denies, that it is hard to tell exactly what is going on when they muddy the waters so much. Qualcomm is pretty clearly a bad monkey here, for their "no license, no chips" policy which is clearly ridiculous, but I see Apple as just as combative in a negative way, bullying their way out of agreements that they made knowing how bad it would be with Qualcomm, and trying to weasel and whine their way out of paying... in fact, they are asking to be paid half-a-quarter's worth of their own profits! Neither side makes much sense to me right now. My opinion is that they both need to sit down and take it, each in their own ways. I do not hold either side in this guiltless. But, the problem is that, with all of the swirling allegations and swift denials from BOTH sides, it is likely going to be impossible to tell who is at fault for what, ultimately, outside of a court of law. It’s actually very simple (and not about Apple at all); the court had to hear the parts but this trial could have ended in 5 minutes: you can’t have standard essential patents and also charge what you please and refuse to sell.